I found Paul Krugman's The Big Zero - how the first decade of the twenty-first century eroded value rather than creating - interesting. This article is deservedly having an impact and references to the Big Zero are springing up everywhere, at least in the liberal press. Many people may actually disagree, particularly in India, which has gained significantly over the last decade, and thousands, if not millions, have their lives transformed by the emergent opportunities in various industries. So, it may be worthwhile to look at Krugman's assessment on balance, and see whether it is fair to write off this decade as a time when nothing happened. ShashiTharoor's tweets have been extremely popular, candid and humorous. But somehow the government manages to make itself embarrassed on these, and the recent statement by S M Krishna, Tharoor's boss and the Foreign Minister, that he should discuss his 'perceptions' within the 'Four Walls' of the government and not tweet is a clear reflection how uncomfortable the powers that be are. I am little surprised that we talk about the 'Four Walls' of the government. Where are those walls, really? This sounds too Kremlin-ish: That's not surprising because some of our Senior Ministers and bureaucrats cut their teeth in the old days of Indo-Soviet friendship and refuse to let go the old ways of life. The other two walls I know of - one is in China and the other was in Berlin - are not the right symbols for our government to choose. So, what is Mr. Krishna talking about? 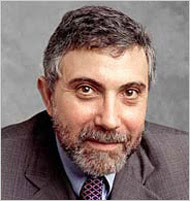 I found this article by Paul Krugman and ended up agreeing to most of what it says. I reproduce the article in full below. But from an economic point of view, I’d suggest that we call the decade past the Big Zero. It was a decade in which nothing good happened, and none of the optimistic things we were supposed to believe turned out to be true. Let's call it a manifesto. I must make 2010 very different from 2009, and nothing short of a mini-revolution help me achieve what I want. Here are my thoughts on what I am going to do. But before I get to that, a few words on my long term plans. First, I shall definitely stay in Britain for next three years, but head out, to Asia perhaps, in December 2012. I gather I need three years to complete what I came here for - to learn. After that will be my time to concentrate on family, usual social life etc. But, I must give these 36 months in the pursuit of what I want. Second, I shall focus on education. Become a teacher myself, perhaps, at least for a while. I am dreaming of setting up a college - an open access liberal education facility - and I have the sense of destiny pulling me into the project. This, deep in my heart, looks like a project I can devote the rest of my life too. That will surely be my New Year wish. The Christmas Day is now over. My tenth Christmas away from home, of which the last six were in London. One always feels a bit sad to be away from everyone else on Christmas Day, particularly because, all shops are closed, there are no trains or buses and everyone else is busy with family. So, I spent time catching up on some reading and watching the tele, something I usually never manage to do. The news was boring too - not too much happens in Christmas anyway - but the most interesting thing was to contrast the four Christmas Day messages from five different sources. The Queen: Her principal message revolved around Afghanistan. She said how deeply she feels about the families which lost their loved ones in the war. She talked about the commonwealth soldiers too, and their sacrifices. I have previous mentioned about a Facilitated Network Model of education, where modern learning technology - of cheap communication and rich media - transform the education to a more asynchronous, personalized yet collaborative process. I argued that the model of education as we have it today, is increasingly out of sync with our life. This is not just because of technology. I say this because of wider social changes, primarily (a) withering of all certainties in life and (b) breakdown of the stages of life. One can possibly argue that the quest of knowledge does not get affected, at least too deeply, by the changing social rules But, the idea of the university is not about just quest of knowledge. It is primarily about connecting human knowledge to life. And, in the context of a rapidly transforming landscape of life, today's universities are inadequate facilitators of the stated purpose. With my business connections in Hyderabad, I am increasingly worried about the state of affairs in AndhraPradesh and the political tension surrounding the formation of the Telengana state. I can see the Congress Party is split in two, with the coastal MPs fasting unto death and agitating with all their life's worth against the decision, and the ones from Northern regions quietly basking in the glory of finally bringing justice to a long forgotten region. The last Sunday before Christmas - the year feels like over. It is brilliantly sunny and bitterly cold outside. So cold that the snow won't melt even in the full glare of the Sun. The road in front of us is unusually quiet, but I know that the traffic would build up soon, after Lunch, when everyone would head for shops one last time. The newspapers report that Britain had one of the biggest shopping days in history yesterday, when people finally got over the recession hangover and returned to the shops, even if for one last hurray. One can almost hear the collective sigh - thank God that the year is over - and the bristling to start a new year. Across the world, public education is on its way out. It is definitely out of fashion in all of the Anglo-Saxon world, and increasingly the developing countries, which are burdened by out of date education systems, mostly out of touch academics and out of proportion education bureaucracies, are following that lead. It indeed looks like an easy solution: let the private entrepreneurs make money and educate a few people in the process. I do not agree. I think this is another example of governments abdicating its role of governance. We set up governments not to make profit, but to take care of things which can not be managed by private individual pursuit of profit. It is indeed not the other way round. Education is one of those areas, and governments abdicating its role of educating people may actually alter the social balance, come in the way of social progress and end up making social relationships unsustainable. Idealism does not get you far in life, my teachers advised me. This is an advice I have not heeded, to my peril. I get excited by ideas, and not often care to assess the benefits, of personal and material kind, before pursuing one. And, so I have done many times before. However, for all my day-dreaming habits and undying optimism, I have possibly not worked for anything even closely exciting as the one idea I am pursuing now: A global open college. A college, in short, that anyone can attend, anywhere in the world, and study a professional course in a wide range of subject areas. This is an old joke, about the Four Dimensions of Happiness. Apologies, because, this is very male and lots of stereotypes here [some are also dated, because Chinese salary is no longer that bad]. But, worth a laugh! This advert, put out on billboards by St Matthew-in-the-City Church in Auckland, is causing a bit of a debate. Many residents are angry, they think the advert shows disrespect. 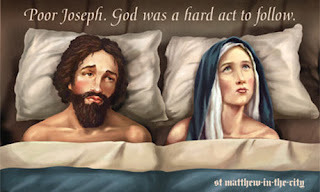 The church wanted to do this to, yes to draw attention, and to spark a debate on Jesus' birth. But, what a timing? But, then, I guess fundamentalists are everywhere and they always miss the point. And, the irony, indeed. It is a great day for British Airways. It won an injunction on strikes called by Cabin Crew. This will keep the airline flying during the holidays, much to the relief of many passengers. It will possibly save the airline, for now. It will also possibly be the last nail in the coffin of the Trade Union movement in Britain, because the judgement was based on a technicality, which could have been avoided. Great day for British Newspapers, because they seemed to have swayed the opinion. In the context of the discussion about the East Asian Union, there is a lot of unease in America and Europe. It almost appears that there is some kind of conspiracy against them, by some socialist powers, though the idea is generating in Japan and the adherents, countries like South Korea and Taiwan, are strong American allies. I have been told that the scheme is to undermine American hegemony, which is partially correct, but seen from a different perspective, this is not such a bad thing for America itself. In the light of the Hatoyama doctrine and the shifting world economics and politics, it is time for us to rethink our plans in India and how this country should develop in the next decade. I am a great believer that India has the potential to develop into a powerful economy, but I do not think this is a given, and a lot will depend on the choices we make with regard to our development model. I am not sure it was about liberalization and that's it, however much the English language press wants us to believe that. It seems that we have caught up this free market credo just after its time has passed - we have a penchant for picking up the doctrines after its sell-by date - and it is important for us to think hard, yet again, on what is right for us. In the context of my recent comment regarding the East Asian Community, I decided to post Yukio Hatoyama's article from International Herald Tribune, where it appeared in English. This article, understandably, created so much anxiety in the Washington Policy circles. However, it is said that there is less to worry about Hatoyama's intent than is currently thought. His comments about the failure of American style capitalism is all but common these days, and his idea of an East Asian community is not a new one. Besides, it was pointed out that the English article omits important sections that appeared in the original, longer, Japanese one, sections which would have made this sound much less belligerent. This article in Foreign Affairs was worth reproducing here, in the context of what I wrote about Obama's Nobel Speech and the requirements of pragmatism as John Gibb pointed out to me. This is written by ZBIGNIEW BRZEZINSKI, who was the U.S. National Security Adviser from 1977 to 1981. His most recent book is Second Chance: Three Presidents and the Crisis of American Superpower. One can read the article by clicking on the link, but a registration will be required, which is free of cost. I shall encourage you to register. However, I have also reproduced the text here for convenience, and to be used in the context of the ongoing conversation.